Want your freelancing business to grow? I’m getting more and more questions over email. Sometimes, you will need an in-depth conversation to get clarity, set goals, and identify next steps. If you have a challenge related to your rates and pricing, niche, misbehaving clients, or even the specific services you provide, then I’d love to help you get unstuck. Check out the four options below, and pick the one that best fits your needs. You pay by the minute. We go rapid-fire through as many of your questions as you like. Many of these calls revolve around helping freelance writers think through pricing and billing, getting more freelance writing clients, and attracting better clients. Want to level up your freelancing business and get ahead in your personal finances? This is a good place to start. To book a Clarity call, click here. “My call with Austin was excellent. I walked away with a plethora of actionable advice to help me find new clients. He got to know my specific needs and helped me develop a plan around it. I would definitely recommend setting up a call Austin.” – Michael N.
Maybe you want to create a product, guide, or course, but you’re not sure where to start. Maybe you want to raise your prices, but you’re afraid that will scare away your existing clients. Maybe you want to get serious about blogging and content marketing, but you’re not sure what to write about or how to stay consistent. Even if you’re not exactly sure what your top priority is, I can help you figure out what to do next and why. We can spend the first 10-15 minutes peeling back the layers and figuring out what is preventing you from making meaningful progress toward your goals. Read the testimonial below. Then, answer a few short questions here: https://austinlchurch.typeform.com/to/Lk97Vx. “I wrote my ‘main client’ that proposal/letter we spoke about, and they accepted my new prices/terms no questions asked—including a base increase of 20% on the cheapest project and moving up from there. They agreed with everything I said, which was not only a financial booster, but more importantly for me, a confidence one! Though work has gotten busier overall, I have been much better at setting boundaries and keeping work time focused and limited. I am so much more productive, and life is better overall. Then, when I do need to have a super-full work week, I know it’s just temporary. All this to say: Thank you. Thank you very much for the help in clarifying my goals and the steps needed to reach them!” – Margaret R.
We spend 90 minutes peeling back the layers of your challenge or goal in order to help you gain clarity, set direction, and identify next steps. We can also troubleshoot a major problem or bottleneck in your business—for example, How you can raise your rates? Or, how you can recruit better talent? Or, how can you find more high-paying clients? I like to ask a lot of questions to figure out your real needs and potential wins. Once we wrap up our time together, I will prepare a formal roadmap that you can use to achieve whatever we discussed. You will have an accurate understanding of the timeline, budget, and desired outcomes. Okay. Sounds good. What do I do next? Answer these questions for me, and I’ll follow up with instructions. 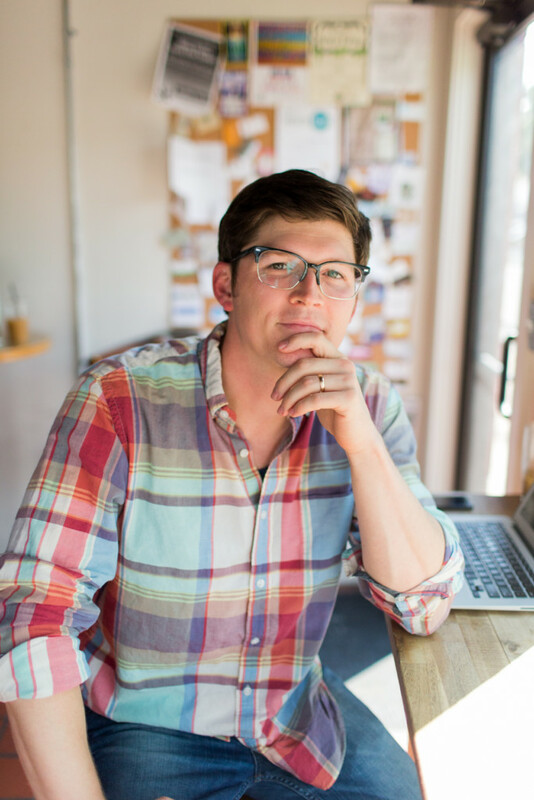 “Austin’s sage advice has helped me as a freelancer in more ways than I can count. Since putting his bevy of practical tips to work, I’ve broken up with troublesome clients, explored new fields, tripled in confidence and almost doubled my hourly rate.” – Elissa W.
If you want to grow your business, then I want to help. Ongoing engagements are fulfilling because I get to stick around and see the fruits of my labor (and yours too). We need time to assess what’s working and what isn’t. We may need to do design and development. We may need to change your positioning and rewrite your messaging. We may need to map out and implement a complete online marketing funnel. But it will be worth it. Just read Todd’s testimonial below. Don’t worry… You don’t have to jump into an $18,000 per year commitment. We’ll start with Roadmapping. Answer these questions for me, and I’ll follow up with instructions. “For the first time in our 5 year history, I can say I see definitive results in our marketing. Just this week, I have submitted two proposals to business owners that said very directly that they contacted us because they found us through Google and, more specifically, because of the positive reviews we had. One of those proposals has already been accepted.” – Todd C.
Are none of these options the right fit for you? Check out my books instead.